It has been a long time since a decent vampire film was released and I cannot wait until Priest is released in May. 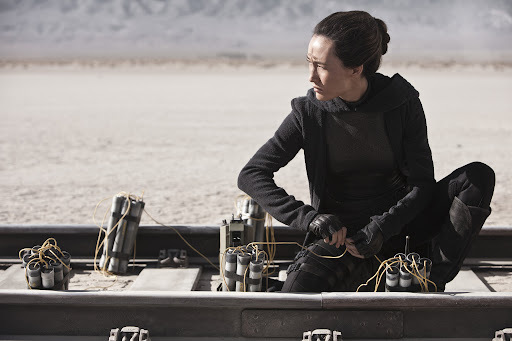 The new Sony Pictures release is a post-apocalyptic, sci-fi thriller based on the graphic novel by acclaimed Korean graphic artist Hyung Min-woo. Priest is set in an alternate world, some time in the distant future. Society is paying the price for centuries of war between man and vampires and is run the Church, a sinister order of Warrior Priests. 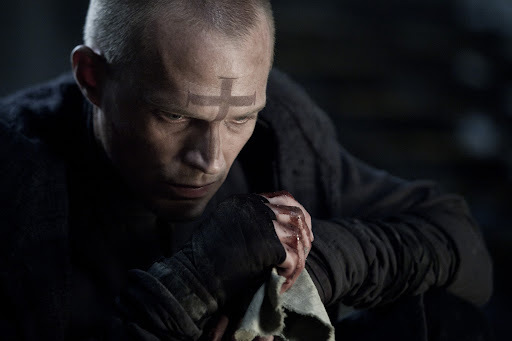 Paul Bettany stars and his character is simply known as the Priest. He is a Warrior Priest and veteran from the last Vampire War, now living in obscurity in a walled-in and desolate city ruled by the Church. When his niece Lucy (Lily Collins) is abducted by ancient vampires intent on turning her into one of them, Priest breaks his sacred vows to venture out and rescue her. 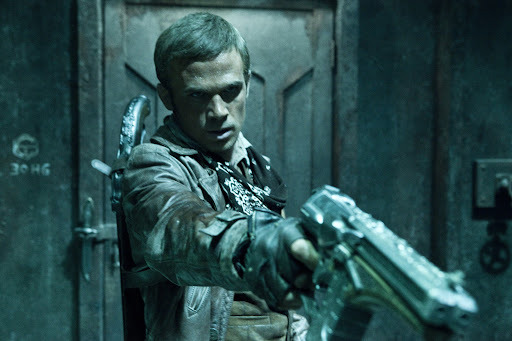 He is helped in his quest by Lucy’s boyfriend Sheriff Hicks (Cam Gigandet), a trigger-fingered young wasteland sheriff, and a former Warrior Princess (Maggie Q) who possesses otherworldly fighting skills. Priest has been brought to life by emerging director Scott Charles Stewart and the stellar production team includes Sam Raimi of Evil Dead and Drag Me to Hell fame. I am absolutely mad about Cam Gigandet and I enjoy Paul Bettany and Maggie Q too. I definitely want to be one of the first to see this film. Sony UK has been promoting Priest for some time now, and earlier this year Sony challenged a group of media students in London to create their own version of the Priest trailer. They were given one night to produce their trailer and then three students were flown out to Los Angeles the next morning to pitch their version of the trailer to the film makers of the movie. What an incredible opportunity this is, especially for the one media student who won the challenge! The campaign came out of Sony’s brand proposition ‘make.believe’. The idea is to inspire people, to showcase the power of creativity, to turn ideas into reality and to know that anything you imagine can be made real. Josh’s trailer is definitely my favourite. I really love the way it begins and the ending too. Which one do you prefer? Priest will be released on 6 May 2011 in the UK and 13 May 2011 in the USA. To kill time until next week (or the week after if you have to wait! ), you can head over to the Priest Priest Yourself Facebook app and turn your Facebook photos into gruesome priests or vampires. Not only is it fun, but there are prizes to be won too. Disclaimer: This is a Sponsored Post but all opinions, enthusiasm and worship of Cam Gigandet are entirely my own. You can't go wrong with Paul Bettany! @ Sarah: Ha! Fastest comment ever! Yeah, Paul Bettany is great and I am really looking forward to this. Hey Emm...yay..always cool visiting your realm...I am looking forward to seeing this too and love all them too! Great vid!How cool! Have a magical day my friend! @ Kiki: Yeah, I am going to try swing a preview, would be lovely to see it first! I can't handle a vampire movie lately. I tried to revisit Interview with the Vampire, but got so sick I had to turn it off! @ Self Sagacity: Strangely enough, I got used to it all. I have a fear of blood but after a while, it just became paint on the screen and not blood fo rme. This movie seemed to be more than just about vampires and have other interesting twists and turns. Would love to see it.